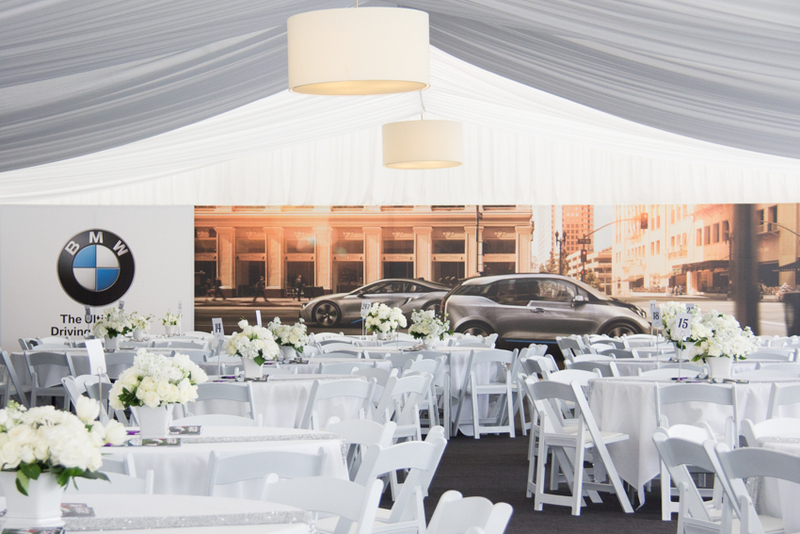 We love styling marquees. They are clean slates for us to really transform into whatever our client desires. Bloodstock New Zealand asked us to create a space with a contemporary feel, suitable for entertaining their international guests at the Karaka Million races. We stared with a minimal palette and added interest through materials like concrete and ply, softening the whole look with lots of interesting greenery. Outdoors on the sponsors tables potted plants in concrete vessels sat on branded ply bases and clean white linens.